Posted on November 5, 2018. Filed under Association News. Be the first to comment. The ADFIAP Board of Directors in its 88th Meeting in Kyrenia, North Cyprus has elected Mr. Phub Dorji, CEO of Bhutan Development Bank Limited (BDBL) and ADFIAP Vice Chairman, as the new Chairman of ADFIAP, succeeding Mr. Shivjee Roy of NIDC Development Bank of Nepal who has ended his term as General Manager of the Bank. Mr. Dorji has more than 26 years of experience in the Ministry of Economic Affairs (MoEA) and as a civil servant. In 2008, he completed his Masters in Public Administration (MPA) from the Harvard Kennedy School in Harvard University and thereupon appointed as a Professional Changkarp to His Majesty The King. 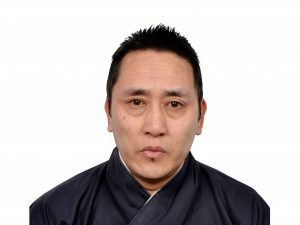 He has also authored and co-authored many publications during his career which included, among others, “Comprehensive Development Strategy for Gross National Happiness (GNH)”, “Strengthening of Women’s Entrepreneurship Activities in Bhutan”, “How to Start a Business in Bhutan” “How to Write a Business Plan”, “Manual on Basic Bookkeeping for Bhutanese Traders” and “Basic Awareness on Starting a Business”.